Office Space - Stillwater, Minnesota. Executive offices situated near very large corporate such as 3M and Target with easy access to Saint Paul via the I-694 and a short drive to lake Elmo and Oakdale. 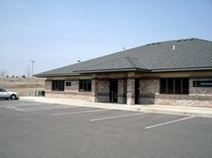 This is a high grade facility where offices are placed in a single story building providing convenient access. The offices are designed to a high standard and feature the latest technology. Conference and kitchen facilities are offered, supported by excellent onsite support staff.